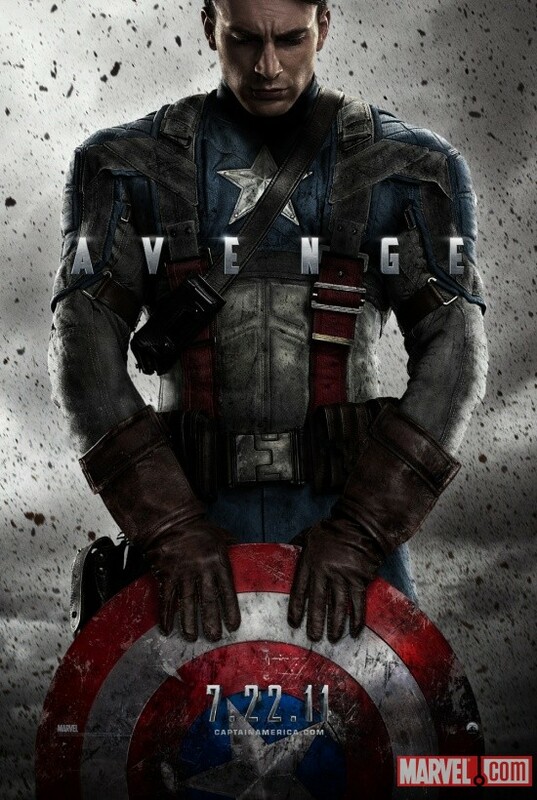 Marvel Studios has revealed the poster for Captain America: The First Avenger, hitting 3D and 2D theaters on July 22. Directed by Joe Johnston, the action adventurestars Chris Evans, Hayley Atwell, Hugo Weaving, Sebastian Stan, Toby Jones, Samuel L. Jackson, Dominic Cooper, Tommy Lee Jones, Stanley Tucci and Neal McDonough. This is not what imagine I thought they would release but I do like it a lot. I do love that it says AVENGE on it but the average joe may think this film is called AVENGE. I do love that it has the feel of war in the background and remember this weekend it looks like we are going to get a trailer during the super bowl! I know this is just the teaser poster but I think it evokes a lot of Captain America in it!